Are women starting companies in the most cutting edge fields and keeping pace with the future? Although many are now learning coding and engineering in school, working for global internet companies and building their own apps—these fields are already mainstream and have less and less room for leadership and influence. Women need to form companies in the industries of tomorrow to ensure they are personally empowered and positioned to shape the most impactful future markets. But what are those markets? One of the smartest things a woman can do today is start a company in quantum computing, space exploration or life extension. Quantum computing—a method using chips that exploit the behavior of matter on the smallest scales—is still in its infancy. But if successful, quantum computers will perform thousands of tasks simultaneously in seconds, handling special problems traditional computers struggle to accomplish. Quantum computers may prove essential for making sense of the coming tidal wave of data and information. 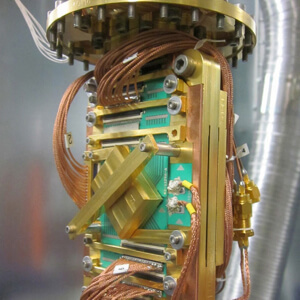 Today, only a handful of companies and research institutions such as D-Wave, NASA, Google, Microsoft and Lockheed Martin are working in the field of quantum computing. But that may not last much longer as the field rapidly advances. People often cite the need for quantum computers in air traffic control, spacecraft navigation, digital security, and optimization of the finance industry. However, quantum computing may also have a powerful impact in the social sector—a field currently dominated by women. Solutions to poverty, education, healthcare and environmental degradation often involve rapidly optimizing resources while accounting for thousands of complex social and physical variables. Quantum computing will find optimal solutions fast and simulate them before implementation—saving time and money and generating better results. For example, providing quick, efficient emergency relief after natural disasters or delivering world class, personalized education for children living in impoverished communities—these could be challenges of the past. The prime opportunities in quantum computing today are hardware related—how to fabricate the computers, grow their capacity, and better understand the laws of quantum physics making them go. Once these challenges are met, future companies will need to create new software and applications tailored for quantum computers. Examples of women already working in quantum computing include Krysta Svore (Microsoft Research), Sabrina Maniscalco (Heriot-Watt University), Chiara Marletto (University of Oxford) and Eleanor Rieffel (NASA Ames). 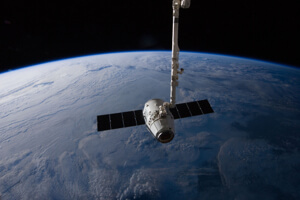 SpaceX Dragon capsule prepares to leave the International Space Station. Space exploration is much more than simply sending spacecraft off to search for life on far off planets. In the future, the space industry will merge with terrestrial industries, leading the future of communications, energy production, manufacturing, robotics, artificial intelligence, agriculture and the life sciences. This transformation is already most apparent in the communications industry, where satellites are critical to providing services on the ground. Manufacturing, energy and robotics are poised to leap forward next. A significant portion of the world’s internet billionaires including Elon Musk, Paul Allen, Larry Page, Sergey Brin, Richard Branson and Jeff Bezos have formed or invested in space companies. Some experts are predicting the world’s first trillionaires will emerge from the space industry. There are already women investing, running or highly involved in the space industry including Anousheh Ansari, the first private female astronaut and space investor, Esther Dyson, a space investor and private astronaut in training, Gwynne Shotwell, president of SpaceX, and Ching-Yu Hu, Skybox Imaging cofounder. Life extension researchers and companies aim to slow or even reverse aging and age-related disease. The field cuts across industries including pharmaceuticals, nanotechnology, genetics, cloning, the information sciences and more. 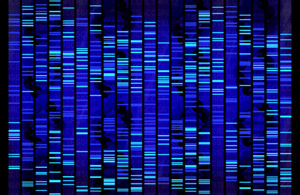 Advances in life extension may require incorporating knowledge from several of these fields. It is essential for more women to join this emerging industry. Women’s health has often been excluded from advances in science in the past, and women’s fertility extension, one of the largest untapped profit-generating markets for startups, directly relates to the larger field of life extension. Current life extension organizations include Google’s Calico, Human Longevity, Inc., cofounded by genomics and synthetic biology pioneer Craig Venter and XPRIZE founder and CEO Peter Diamandis, and Aubrey de Grey’s SENS Foundation. 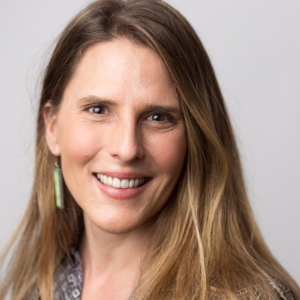 Cynthia Kenyon is on Calico’s board of directors and Anne Wojcicki, co-founder of 23andMe, is leading in the personal genetics space. An increasing number of women are already working in biotechnology and medicine—they just need to take that next step of founding breakthrough companies in this arena. In the 1990s, if more women had taken the same leap as their male counterparts and founded internet companies—we would likely be living in a world of much greater gender equality in the technology sector. For example, Sheryl Sandberg, Chief Operating Officer of Facebook, has played a leading role in making Facebook a female-friendly place to work and is also helping women around the world through her nonprofit LeanIn. Anousheh Ansari created her first company Telecomm Technologies in the internet industry and then went on to invest in the XPRIZE, playing an instrumental role in creating the commercial space industry. She also sent herself to space and supports humanitarian efforts worldwide. In the next decade, the emerging industries of quantum computing, space and life extension may have an even greater impact on humanity than the internet has in recent decades. Now is the moment for women to get in the game and lead.